The Captiva was designed with just one thought — to blur the traditional line between indoor and outdoor spaces. Massive walls of glass combined with large clear openings accomplish this goal and provide for a truly Florida lifestyle experience. 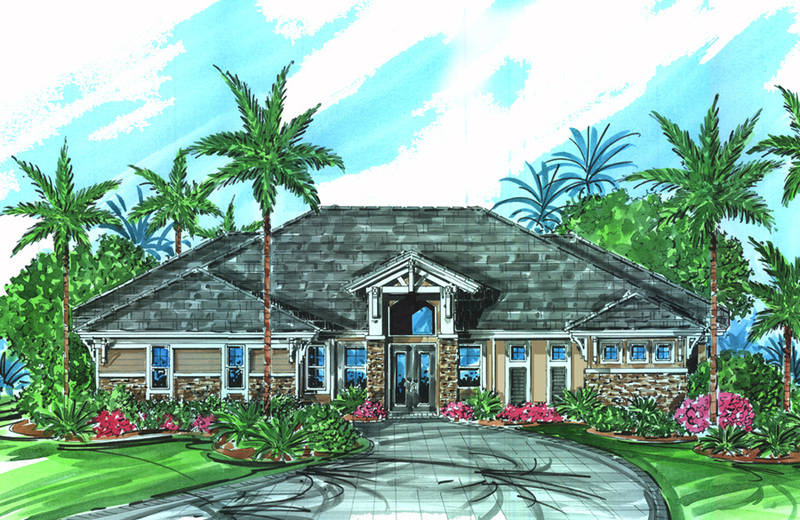 The Captiva’s great room floorplan is straightforward and uncomplicated. Yet the finishes and features of this three bedroom den home suggest simple and easy elegance. Practical as well as beautiful, the house includes what most homes lack: storage space. The kitchen features a wall to wall pantry. The summer kitchen includes loads of cabinets.